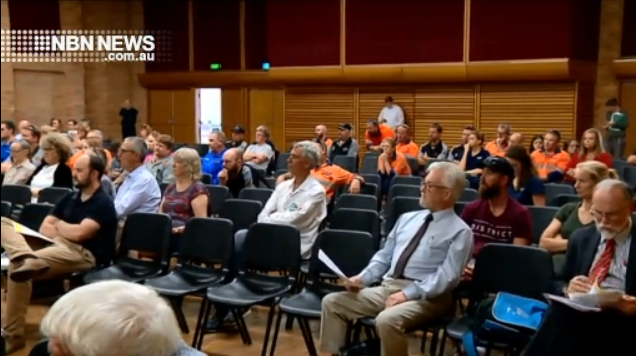 Residents in the Upper Hunter are a step closer to having an outcome over the proposed expansion of the Wambo Coal Mine. The Independent Planning Commission held a hearing in Singleton today, listening to submissions by the general public. “A number of people are making presentations putting in context of the accumulative damage open cut coal mines are doing to Singleton,” Georgina Woods, Lock the Gate. The original meeting was called off last year, after a conflict of interest was declared by two members of the panel.